Of the European Motor shows, Geneva is often the most interesting. Neutral territory for all the big players, it has neither the bombast of Frankfurt nor the dependence of Paris on two lone national players. The show can be relied on for a new “hyper-car” with winning power output and top speed, regardless of whether there exists anywhere in the world a public road where either can be explored to anywhere near their full potential. And as such, it is, if nothing else, entertaining, showcasing vehicles that exist at the outer limits of the automotive spectrum. According to regular visitor Clive Hartley, founding partner of the automotive design studio Quarterre, if anything, this year’s journey to the Alps revealed an industry in transition, still searching for the answers to the challenges thrown up by new powertrains and driverless technology. These will affect almost every aspect of the automotive sector - from the cars themselves to the whether we continue to own them or subscribe to a mobility service. It is most likely that what works at one end of the market will not be appropriate at the other. A car like Renault’s EZ-GO is an early example of the commoditisation of mass-market cars - choosing between VW and Peugeot will become like choosing between Spotify and Apple Music. But there was something else in the air too. The hint of a fresh mountain breeze blowing away the diesel fumes and particulates. 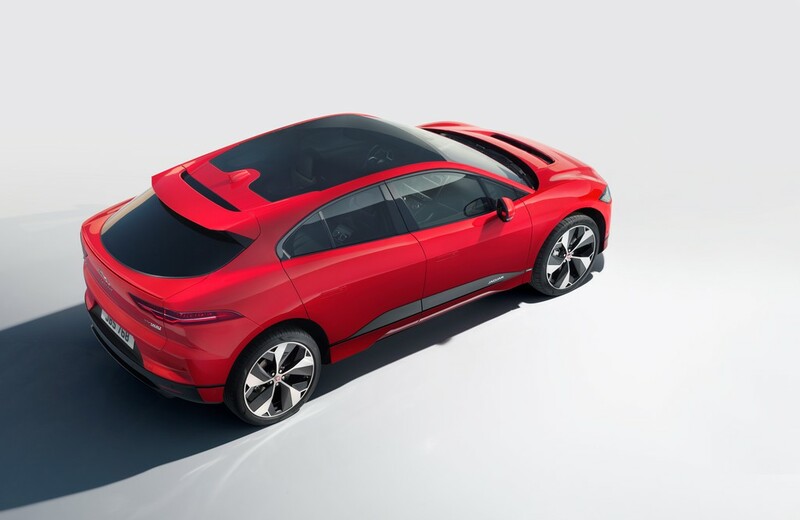 Jaguar showed its first electric production car - the i-Pace. It is also a bold step for Jaguar. The general mood of manufacturers regarding electric propulsion has shifted from ‘if’ to ‘when’. The industry’s hands may have been forced by legislation in China and elsewhere, but it is also true that like the smog in Beijing, the need for low and zero-emission vehicles is plain to see. 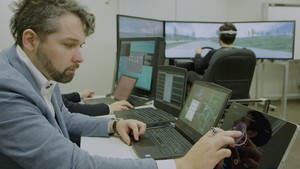 Meanwhile, in Japan, Nissan has unveiled research that will enable vehicles to interpret signals from the driver’s brain, redefining how people interact with their cars. Brain-to-Vehicle (B2V) technology promises to speed up reaction times for drivers and will lead to cars that keep adapting to make driving more enjoyable. 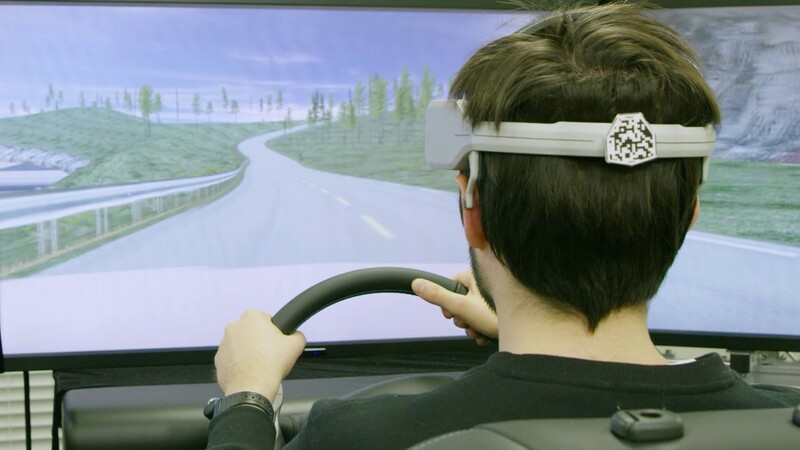 By catching signs that the driver’s brain is about to initiate a movement – such as turning the steering wheel or pushing the accelerator pedal – driver assist technologies can begin the action more quickly. This can improve reaction times and enhance manual driving. 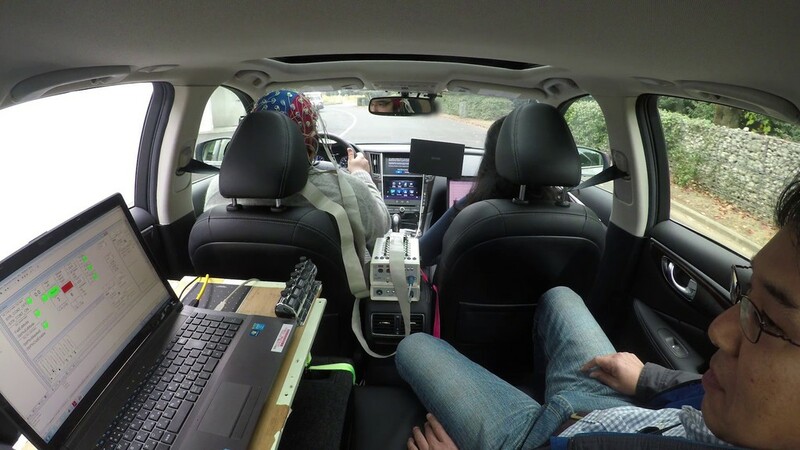 Equally, by detecting and evaluating driver discomfort, artificial intelligence can change the driving configuration or driving style when in autonomous mode. 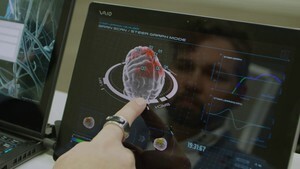 Other possible uses include adjusting the vehicle’s internal environment. For example, the technology can use augmented reality to adjust what the driver sees and create a more relaxing environment. 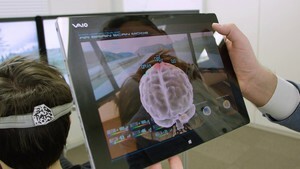 The driver wears a device that measures brain wave activity, which is then analysed by autonomous systems. 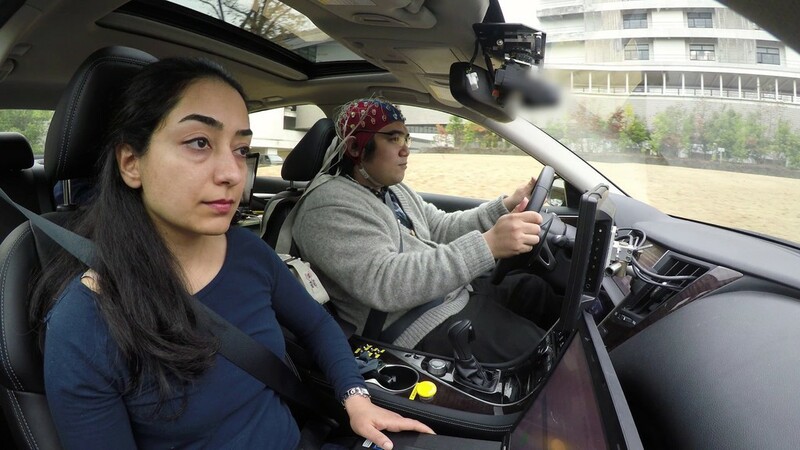 By anticipating intended movement, the systems can take actions – such as turning the steering wheel or slowing the car – 0.2 to 0.5s faster than the driver, while remaining largely imperceptible. Back in the real world, researchers from the Fraunhofer Institute for Factory Operation and Automation IFF in Magdeburg are readying manufacturing and supply chain operations for digitisation and Industrie 4.0 respectively. “Radio frequency identification or RFID tags on parts can boost process reliability and efficiency significantly,” says Marc Kujath, research scientist at the Fraunhofer IFF. 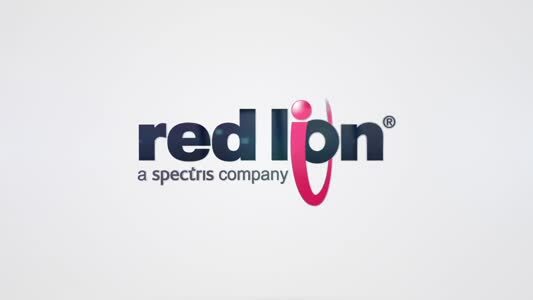 “We have demonstrated this in feasibility studies and wireless tests conducted jointly with Mercedes-Benz Vans at their factory in Ludwigsfelde near Berlin.” Such RFID systems consist of RFID tags on parts and a scanner that reads out information optically. In a first step, the researchers analysed which of the numerous vehicle parts are best suited for this and identified as many as forty parts. For the start, the experts focused on mirrors and seats for further developments. The RFID tags are affixed to every single safety-critical part, individual mirrors for instance. 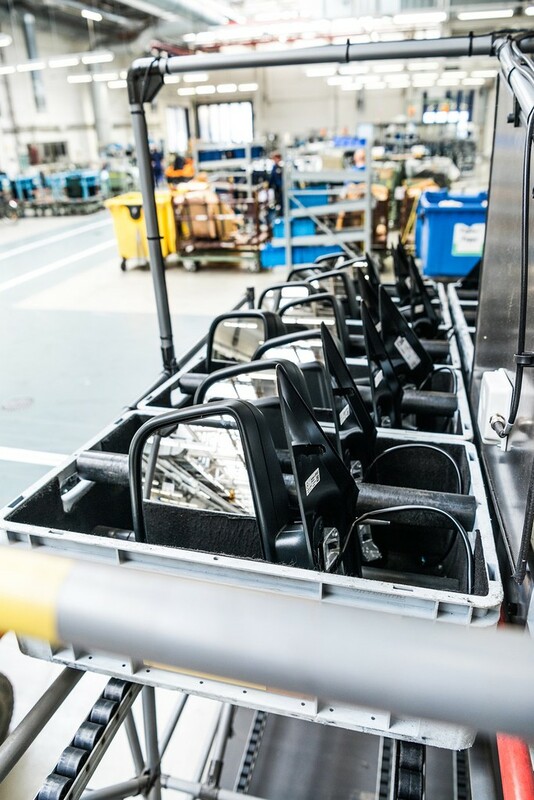 Much like barcode, a serial number is stored on the tags, the major difference being that, whereas barcode merely stores information identifying the type of mirror the number on an RFID tag delivers abundant information such as the vehicle in which a mirror is to be installed. RFID tags can all be read automatically and optically at the same time by one scanner – even when the parts have been installed. For instance, the installation of all the requisite parts can be verified while a front or rear axle is being mounted. Previously, this was not checked until final inspection by conducting visual inspections and using paper lists. Schaeffler is already active in the hybrid vehicle market with double clutches and hybrid modules, in which the electric drive is positioned between the internal combustion engine and the transmission – a solution that engineers refer to as a "P2 arrangement". In the current second-generation hybrid module, it proved possible to fit the disconnect clutch that decouples the hybrid module from the internal combustion engine during electric driving inside the electric motor. In the third generation, which was presented for the first time at the 11th Schaeffler Symposium, the complete double clutch is fitted inside the electric motor – more precisely, inside the hollow space of the rotor. To ensure the necessary force-locking, multi-disk clutches of the kind fitted as standard in high-performance sports cars are used. Combined with a highly-integrated actuator for activating the three clutches, an extremely compact hybrid module is thus developed that makes the powertrain only slightly longer than in variants that are based purely on an internal combustion engine. 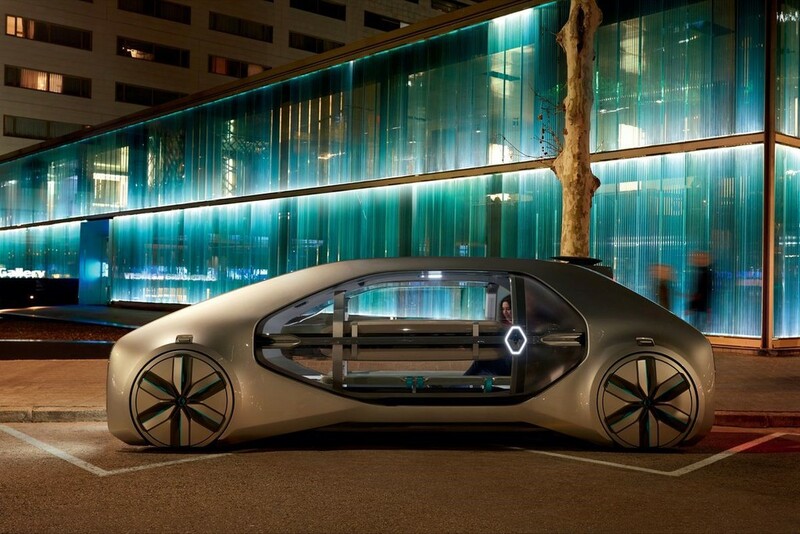 The "Schaeffler Mover" urban vehicle concept also made its debut here. 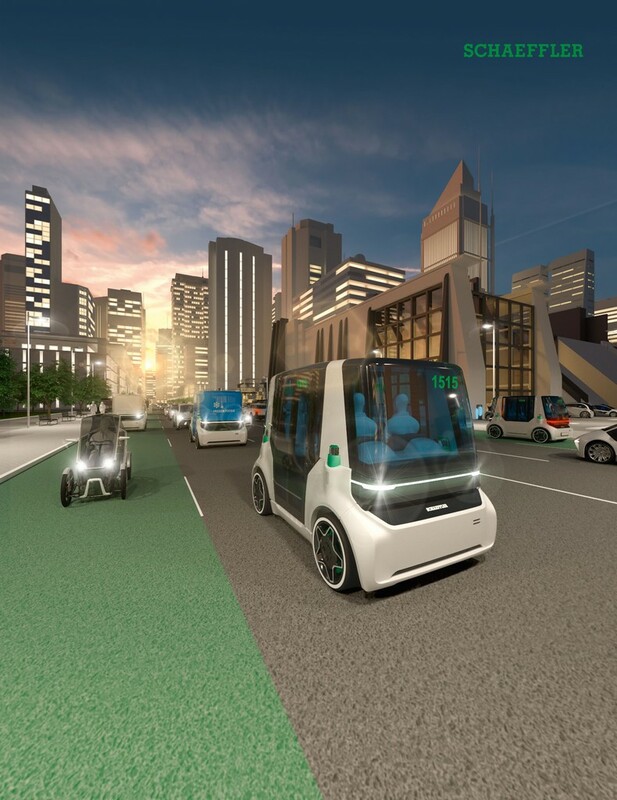 This compact wheel module combines the drive and chassis components of a vehicle designed for fully autonomous operation. This "Intelligent Corner Module" is installed in all four wheels and includes the wheel hub motor, wheel suspension (including the spring system), and the actuator for the electromechanical steering system. The steering system of the wheel module is designed as an electromechanical steer-by-wire system. The wheel suspension design selected enables a steering angle of up to 90˚, which allows the vehicle to be manoeuvred in narrow alleys and to be parked in short parking spaces. Its turning radius is less than 5m. 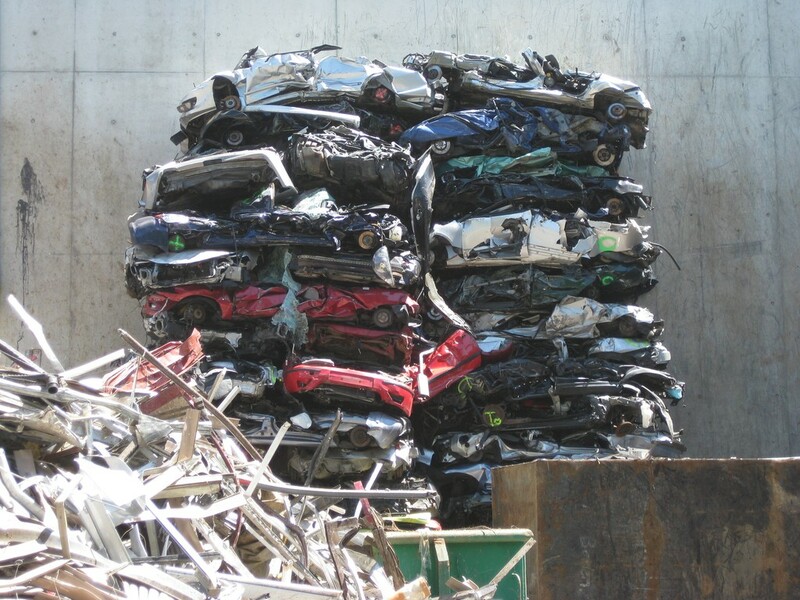 Vast quantities of scarce metals are being lost from Europe’s urban mine of vehicles, including 20 tonnes of gold each year – and the proportion of critical metals in vehicles is continuing to increase. 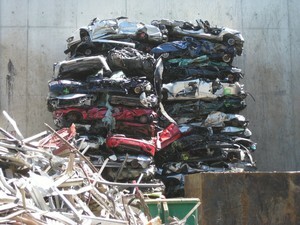 A database is now being published that charts the metals and facilitates recycling. Maria Ljunggren Söderman, researcher at Chalmers University of Technology, recently presented the results at the March meeting of the International Energy Agency (IEA). Metals, such as gold, cobalt and lithium, are an indispensable part of our batteries, mobile phones, electronic gadgets and vehicles. One such example is neodymium, one of the rare earth metals (REM). It is estimated that by 2020 there will be nearly 18,000 tonnes of neodymium in the active vehicle fleet – nine times the amount present in the year 2000. At the same time, Europe is highly dependent on imports of metals, which makes some of them critical for the EU. 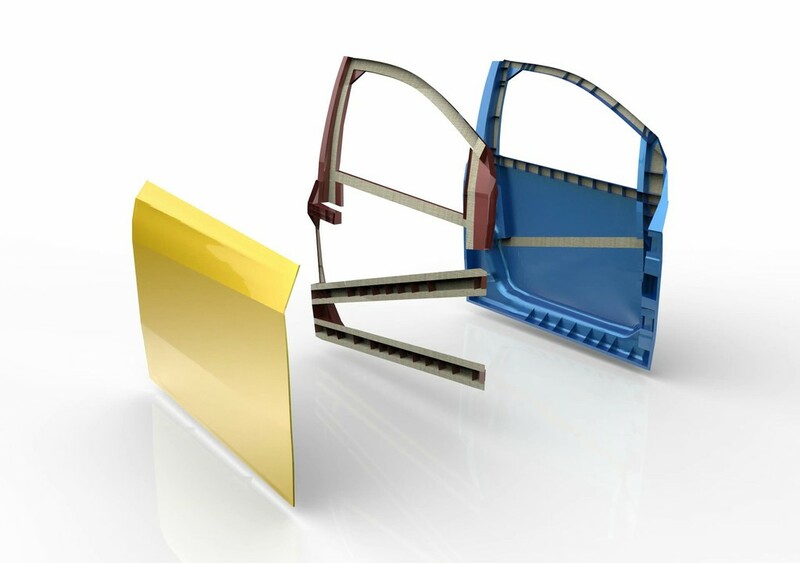 Plastics manufacturer SABIC released at JEC World 2018 the results of a recent lifecycle assessment of passenger car side doors using hybrid materials, including laminates made with its continuous fibre-reinforced thermoplastic composite (CFRTC), the UDMAX GPP 45-70 tape. The material system aims to help improve compliance with stringent energy and emissions regulations. 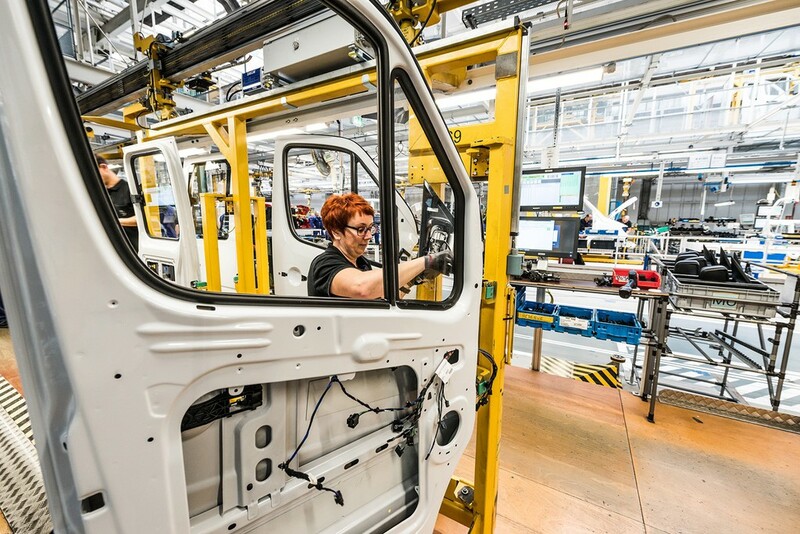 The externally-certified life cycle assessment (LCA) found that doors made with glass fibre polypropylene-reinforced composites outperformed metal car doors in two key environmental categories: global warming potential and cumulative energy demand. In addition to weighing significantly less than steel, aluminium and magnesium, the CFRTC parts deliver exceptional strength, corrosion resistance and the ability to be produced in high volumes using injection moulding. 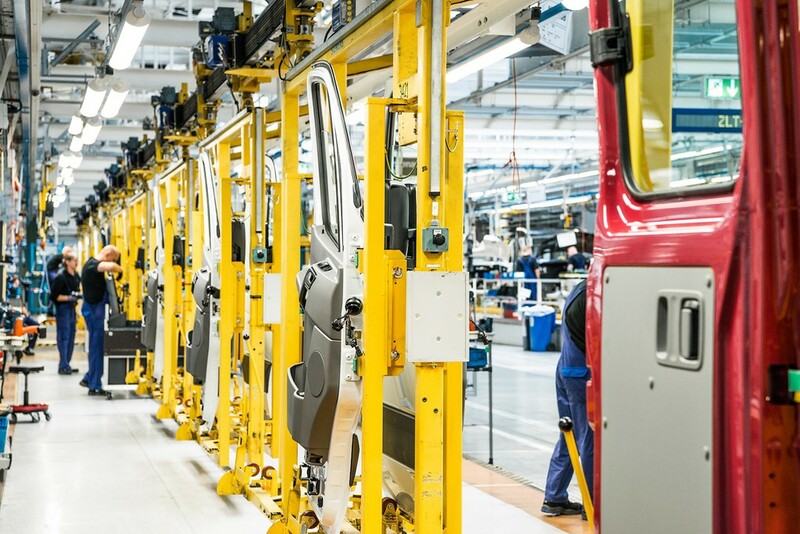 “Many countries, including China, Japan and several across the European Union, have announced they will tighten vehicle emissions regulations in the near future,” said Scott Fallon, global automotive leader, SABIC. In the European Union, 95% of all passenger cars must achieve 95 g/km of carbon dioxide (CO2) by 2020 with 100 percent compliance by 20211. In China and Japan the requirements are 117 g/km of CO2 and 122g/km of CO2, respectively, by 2020. The lifecycle assessment, performed in compliance with ISO 14040/44, compared a side door of a passenger car (a typical sedan) made with thermoplastic matrix composites comprising of UDMAX GPP 45-70 tape combined with an injection-moulded grade of glass-filled thermoplastic resin, to identical doors made of steel, aluminium and magnesium, operating over a lifetime of 200,000 km using the New European Driving Cycle.